ICTBroadcast is fully automated B2B telemarketing software that helps to maximize your business productivity. ICTBroadcast service provider edition is for service providers who can provide their own online service for outbound (as well as inbound) telemarketing to prospective clients and businesses across the world. 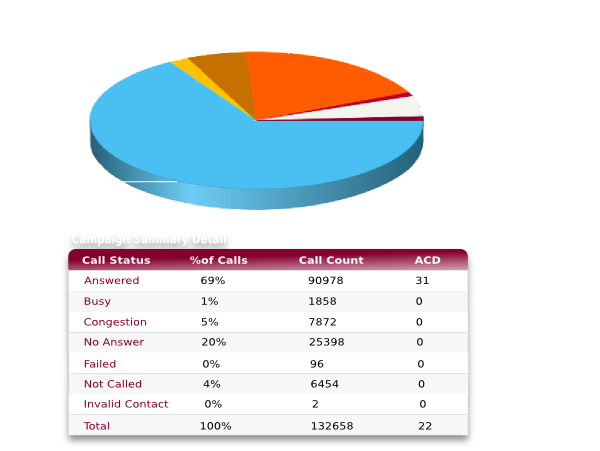 Service provider edition is specifically designed for B2B telemarketing. Where as ICTBroadcast enterprise edition can be used as telemarketing autodialer software for personal as well as for small business and medium businesses. Any enterprise grade telemarketing dialer must provide two key features. 1. Scalability: It must be capable of making large number of simultaneous phone calls 2. Integration: It must provide an application programming interface (API) for system integration ICTBroadcast provides both these key features to become a leading enterprise grade telemarketing software. Below we have discussed how we achieve these two key features in ICTBroadcast. ICTBroadcast can be scaled up to blast thousands of simultaneous calls. This is achieved through multiple powerful server computers working closely together to provide scalability and load balancing. Usually a single node can handle 500 simultaneous calls efficiently. Using this distributed approach, there is virtually no limit on scalabilty. One can increase and decrease server nodes to scale up and scale down respectively immediately depending upon ones needs. We have successfully tested ICTBroadcast on 5 server nodes to achieve 2500 simultaneous calls. However, as we said earlier, there is no limit on scalability. If you have more server nodes and powerful internet connection, it can be scaled further. Another key feature that any enterprise grade telemarketing software should have is application programming interface (API). ICTBroadcast provides REST based APIs for third party software integration. ICTBroadcast uses REST based APIs to ensure that automation between our product and third party application is a seamless. Customers can make the most of third party applications without compromising the quality of service ICTBroadcast provides. Following are list of features of ICTBroadcast as automated telemarketing software.